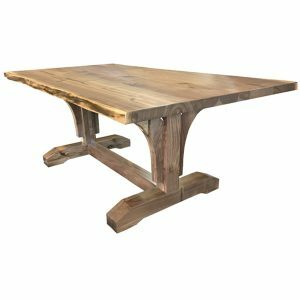 Live Edge Dining Tables are solid wood tables with a “live edge” on the side. Each table us a unique work of art. Choose from different size options. 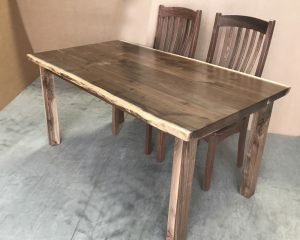 Due to the unique nature of live edge furniture the tables will not have leaves, or any way to expand larger. 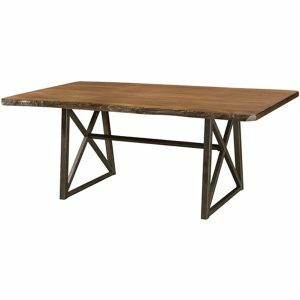 Live edge walnut tables are very popular today. 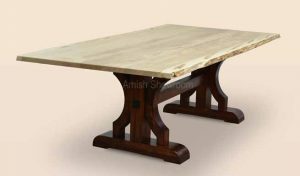 Walnut wood is hard to come by, but Amishshowroom owns a Walnut Tree Farm. 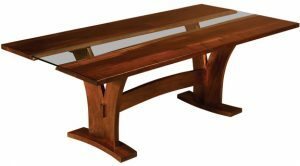 We can build custom walnut dining tables at wholesale prices to the public. 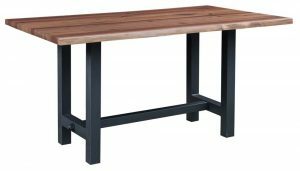 We can custom build solid walnut dining tables, end tables or conference tables. 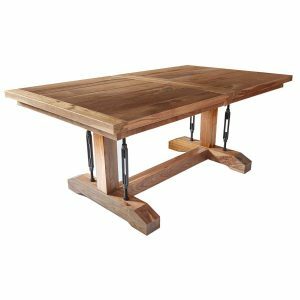 Walnut live edge tables often have the live edge on the outside, but we have selected live edge glass tables that display the edge grain to the table center. 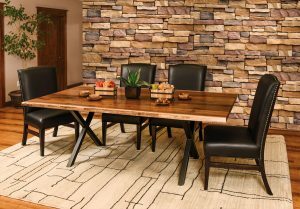 Let Amishshowrom build you a live edge walnut dining table today.